Joseph South an educational researcher, technology consultant, and former director of the U.S. Office of Educational Technology provided oversight for development of the 2016 National Educational Technology Plan and the related Educational Technology in Teacher Preparation Policy Brief. This is an interview responding to questions developed by members of Working Group E of the Jefferson Education initiative on the Efficacy of Educational Technology Research, including J. Michael Spector, Kay Persichitte, Ellen Meier, Glen Bull, and Joseph South. Bull, G., Spector, J.M., Persichitte, K. & Meiers, E. (2017). Reflections on Preparing Educators to Evaluate the Efficacy of Educational Technology: An Interview with Joseph South. 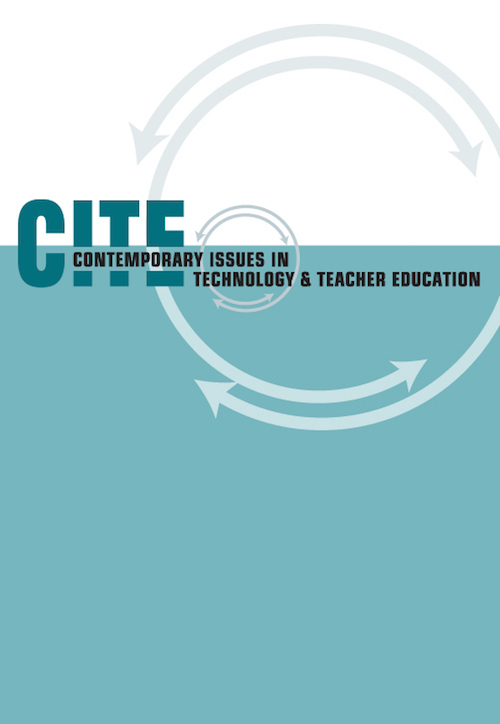 Contemporary Issues in Technology and Teacher Education, 17 (1), 11-16. Waynesville, NC USA: Society for Information Technology & Teacher Education. Retrieved April 25, 2019 from https://www.learntechlib.org/primary/p/177270/.